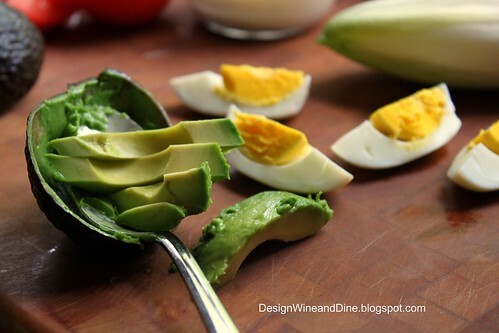 These little Cobb Salad Endive Boats make a fun addition to any brunch inspired menu! And what would Derby Day be without a Mint Julep (or 4)?! 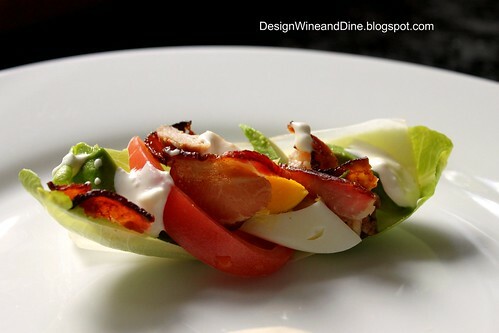 For each Cobb Salad Endive Boat, I used two leaves of Endive to form the bottom of the "boat." 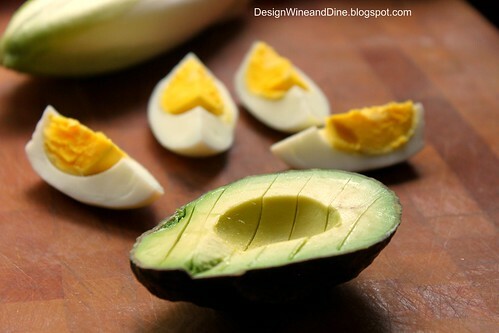 Action Shot ~ scooping avocado slices out of their skin...perfectly ripe! Fresh, beautiful, delicious food that's fun to look at ...and better to eat! These are way too cute! Such a fun concept! Those look really fantastic. I love eating salad with my fingers. Maybe its my inner 4 yr old trying to come out - I don't know - but salad eaten with fingers is far superior to fork salad. Yeah, I'm strange like that LOL!! Enjoy the hot browns. I made them last year and they were a HIT! YUM! Brilliant in its simplicity! Are you surprised we are both thinking brunch...? I love this idea. I made endive boats once with some sort of cheese mixture. Don't that make a wonderful little vessel? Girl, the things you do to make food look so elegant and lovely...it's amazing!!! 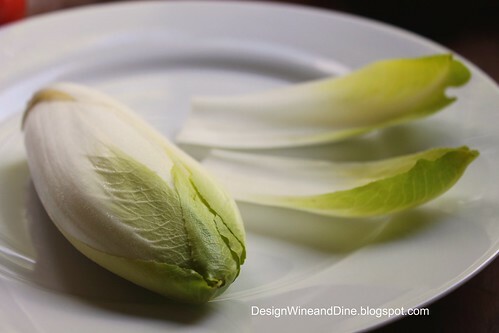 I've never seen a piece of endive look so inviting! And I look forward to seeing what you do with the classic hot brown... LOVE them!! I must be very out of touch! I don't know what a hot brown is (I'm also from the northeast, maybe that's my excuse?) Either that or I have a very bad memory. I can't wait to see your post! These endive boats look YUMM!!!! What a fun way to present this salad...Love them! My goodness...I've missed so much in just a few days. These are awesome. 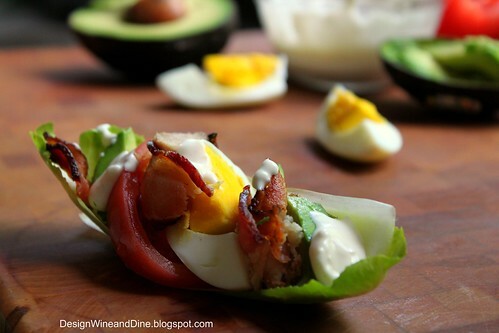 I love that a little cobb salad is all wrapped up in one package. Really cute!